Jeff Bezos was working in finance in New York City when he had a great idea. He came across the fact that web usage was growing at 2,300% a year. He’d never heard of anything growing that quickly. What if he could build an online bookstore with millions of titles? Something that couldn’t exist in the real world. He was just 30 and had been married for only a year. He told his wife that he wanted to quit his job. And do this crazy thing. But his wife told him to go for it. To start with Amazon sold only books. Next, Amazon added music and video. Then he asked his customers what else they’d like to buy from Amazon. And an incredibly long list came back. Of whatever people had on their minds when they responded to Bezos’ question. People will want to use this newfangled e-commerce way of shopping for everything. Today, Amazon sells almost everything. Jeff Bezos’ willingness to think long term was matched by his willingness to think like it’s always “Day 1”. “It’s still Day 1” of the internet and for Amazon.com. Just as he did in his first annual letter in 1997. Because Day 1 is startup. The days when a new company is full of energy. Ready and willing to move ahead with vigour. For him, Day 2 is “stasis”. That’s why Amazon remains in a state of permanent beta. “Beta” is a phrase used by software companies to indicate that the version of the product is not yet finished. “Permanent beta” is the idea of constant adaptation. It’s a time of perpetual experimentation and usage. An imperfect product is released. Bugs, problems and features are worked upon. And the product evolves and improves. 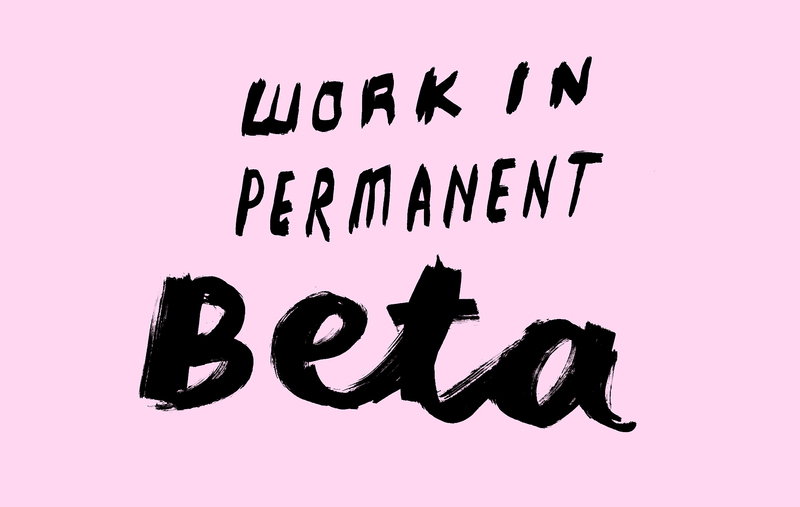 Permanent beta can be an outlook on life. And it’s how we approach our clients’ problems. Failure isn’t something to avoid. It’s a deliberate part of the process. Working out what’s working and what’s not. Failure isn’t an indication of capability or potential. It’s simply an evaluation of progress. Being in permanent beta forces you to acknowledge the bugs. We’re always open to new ideas and iterations. For us, the launch is the start, not the end. We don’t just hand things over, we stay with our clients, watching, learning and refining along the way. Amassing knowledge and experience while always retaining the energy, vigour and open-mindedness of Day 1.